Delivery, installation & training Our goal is to have your new A-Ward equipment installed and running as soon as possible – so you can start reaping the benefits and efficiency gains straight away. Shipping A-Ward is flexible when it comes to your preferred method of shipping. 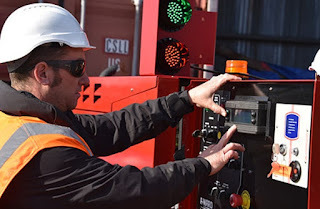 We can provide your equipment either Ex Works, or on a CIF basis (using our proven global shipping agent). Delivery & installation Your A-Ward representative will be on site to manage the installation of your new equipment. 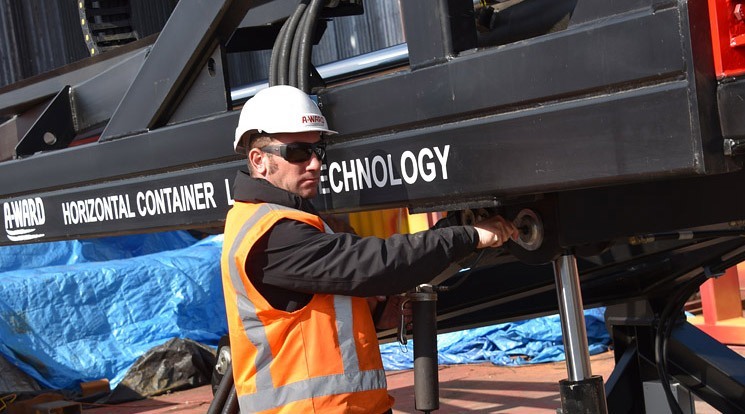 You will also be given full instructions via an “Unloading Plan”, which covers the requirements for removing your new equipment from the shipping container. Training Full training on using your equipment is then provided (usually on day three of the installation). Certificates for completed training are provided on request. You will receive a full set of training manuals, both hard copy and electronic. Ongoing Care, Maintenance And Safety Customers all over the world choose A-Ward equipment because of the integrity of our brand. Firstly, A-Ward equipment is designed and built for a longer, stronger life. (For instance, our MiSlideTM loader/unloader is designed with a patented single-stage ram, instead of the other brands telescopic ram that wears more easily and is expensive to replace). Ongoing Care, Maintenance & Safety Secondly, we stand behind our products. 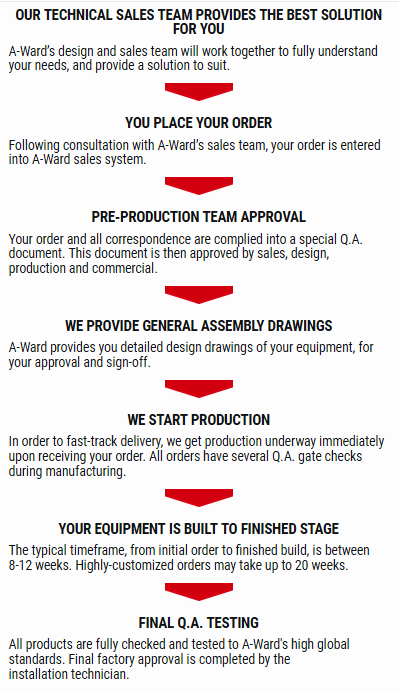 All A-Ward equipment comes with a 12-month warranty on replacement parts. In addition, the A-Ward Certificate of Fitness (COF) program ensures your equipment is kept in optimal working order. A-Ward Certificate of Fitness (COF) Every 12 months, an A-Ward technician can complete an on-site “fitness check”, and issue you with a current Certificate of Fitness. If any replacement parts and/or servicing is required, we will organize this for you. The safety of your staff is A-Ward's number one priority. We find that our trained technician know how to identify potential risks through a fresh set of eye's. For your convenience, A-Ward will keep records of your maintenance schedule in our database, which you can access at anytime. We will also keep you informed on any equipment upgrades and new innovations as they become available. Benefits of the A-Ward COF program -Regular preventative maintenance ensures a longer working life for your equipment. -Saves you money – as any small issues will be fixed before they turn into more costly problems. -Keeps your equipment in constant working order, and avoids downtime/business disruption. 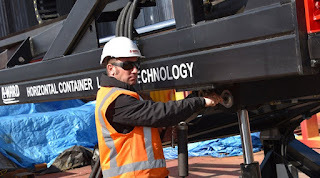 -Improves your Health & Safety/accident prevention, by ensuring your equipment is safely maintained. -Provides a simple, no-hassle maintenance schedule; where we take care of everything for you. Request Service Does your equipment need Servicing? Under our Certificate of Fitness program, you will receive automatic notifications when your equipment is due for a fitness check. If you would like a copy of your current COF records, please request an update below. For all other service queries, please contact us. Replacement Parts Need a replacement part? All A-­Ward parts are available ex­stock. Upon receipt of your order, we will typically dispatch your goods within 24­hours. Please complete the Parts Request form in this page to do this. If you have any queries regarding your replacement parts please contact a local support branch - see our contact directory and we’ll be happy to help.